The Contemporary Design Group Annual Conference is a private event, open to 2019-2020 Corporate Partners and Current Retailer Members only. Are you a Vendor/Supplier interested in Partnership? Are you a Retailer interested in Membership? Getting in early? Several optional activities will be available for you to choose from. Get to know your fellow attendees in a casual setting. ​Join us later in the evening to check in and enjoy a casual Welcome Dinner Reception at our host hotel. Start with breakfast, followed by a Retailer Meet and Greet and keynote presentation. To end the day, we'll recognize great design execution, originality, and excellence in the presentation of the 6th Annual Edward Haimsohn Design Award. The awards ceremony will be followed by an elegant group dinner. Sunday's breakfast will be followed by a joint retailer/partner activity. *Optional Activities start Friday morning. Planning on bringing a spouse or family member to dinner? ​Please see the Guest registration form for details. ​*We ask that retailers not plan on leaving before sessions end Tuesday at 4:30. Please plan your travel accordingly. CDG has an exclusive hotel rate at our host property for our conference attendees. 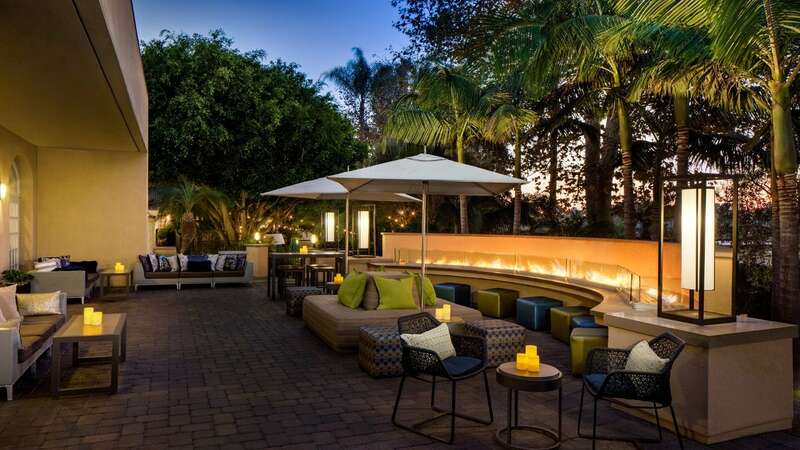 You will receive information on how to book rooms upon registration for the event.​ This year's CDG Conference will be held at the beautiful Hyatt Regency Newport Beach in Newport Beach, California. The Hyatt Regency Newport Beach is a hotel retreat adjacent to the Upper Newport Bay Nature Reserve. The property is nestled among 26 acres featuring hundreds of palms and a succulent courtyard that is a nod to the California desert. Guests can access three unique pools, an executive golf course and nearby luxury shopping. All accommodation bookings for the CDG Annual conference should be made using the information provided to you by Contemporary Design Group upon your registration for the event. CDG will never provide your contact information to a third party in order to book accommodations or travel. Please be aware that this is a SCAM designed to obtain your credit card information and / or make charges to your credit card. Please exercise extreme caution when contacted by anyone offering to book conference accommodations or travel for you. The representatives are often extremely pushy. We recommend that you do NOT give them your credit card number, personal information, or any details about your hotel reservation. If you receive a phone call or email from a company offering a hotel and travel booking service for CDG's Annual Conference please let us know!